Documentary film about how Israel’s military occupation is a profitable business. This screening is the Dutch premiere and will include a Q&A with the filmmaker Yotam Feldman. It is, furthermore, part of the academic symposium Security on the Move, held at the University of Amsterdam (10-12 September 2014). Since 9/11, the Israeli arms industries are doing bigger business than ever before. Israeli companies develop and test the vessels of future warfare, which are then sold worldwide by private Israeli agents, who manipulate a network of Israeli politicians and army commanders. At the same time, Israeli scientists/scholars study how to defeat civil and para-military resistance and propagate their knowledge to various foreign countries, based on the extensive Israeli experience. 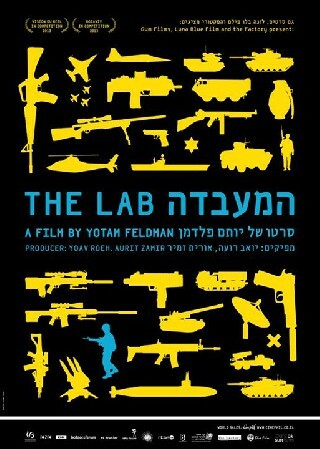 The film “The Lab” reveals how the Israeli military occupation of Gaza and the West Bank has transformed from a burden to a marketable, highly profitable, national asset.